Product prices and availability are accurate as of 2019-04-22 12:09:21 UTC and are subject to change. Any price and availability information displayed on http://www.amazon.com/ at the time of purchase will apply to the purchase of this product. Get the most out of your classic car. With Cassette Adapter Bluetooth from ION, your vehicle’s cassette player becomes a wireless Bluetooth receiver. Just like that, you can stream music from any Bluetooth music player or phone. No complicated installation. No cables. No tangled or snagged tape. Just pop it in and it automatically turns on. The Cassette Adapter Bluetooth contains a long-lasting rechargeable battery for even the longest road trips. Plus, you now have a hands-free solution for phone calls. You can use your car’s speakers to hear phone calls and music without having to buy a new stereo head-unit. Both of your hands stay safe on the wheel while your audio source stays in your pocket. Cassette Adapter Bluetooth is the last cassette you’ll need and the first-and-only step to bring your favorite music, podcasts, and audiobooks into your car. 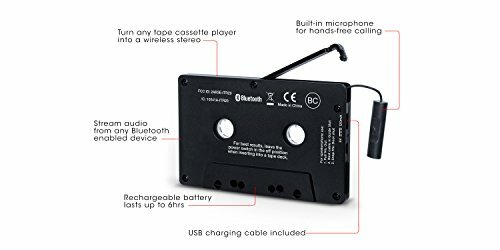 Cassette Adapter Bluetooth can only charge while it is removed from a cassette deck and not being used. Can I use the Cassette Adapter Bluetooth to answer phone calls? Yes! 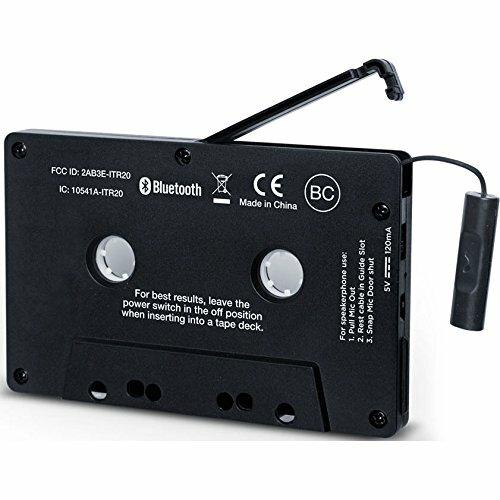 The Cassette Adapter Bluetooth has a built in microphone that allows for hands-free cellphone operation while driving. The microphone is in the top compartment of the Cassette Adapter Bluetooth and includes a button to either pause your streaming audio or pick up a phone call. When I talk to someone on the phone they complain that I sound muffled. Can I fix this? 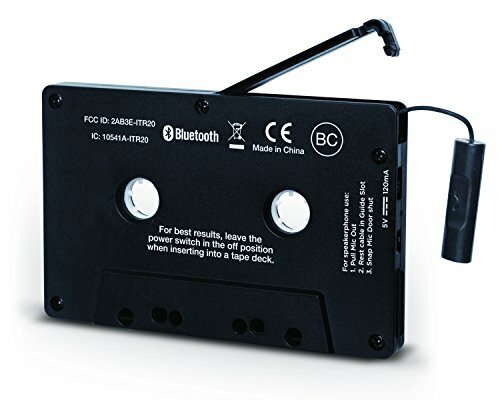 Make sure that you have removed the microphone from the top compartment of the Cassette Adapter Bluetooth and that it is dangling outside of your tape deck. How do I pair the Cassette Adapter Bluetooth with my Bluetooth device? The Cassette Adapter Bluetooth will enter its pairing mode as soon as it starts playing in your tape deck. Depending on how the tape deck in your car functions, you may need to push the PLAY button once the Cassette Adapter Bluetooth is inserted. If your tape deck plays automatically you will not need to do anything to enter pairing mode. The Cassette Adapter Bluetooth is in my tape deck but will not pair to my device. What could cause that? 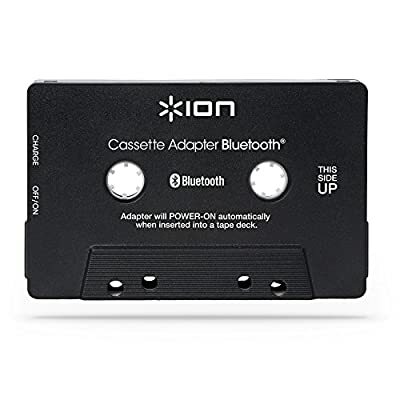 The Cassette Adapter Bluetooth will power off after 15 minutes once Bluetooth is disconnected. 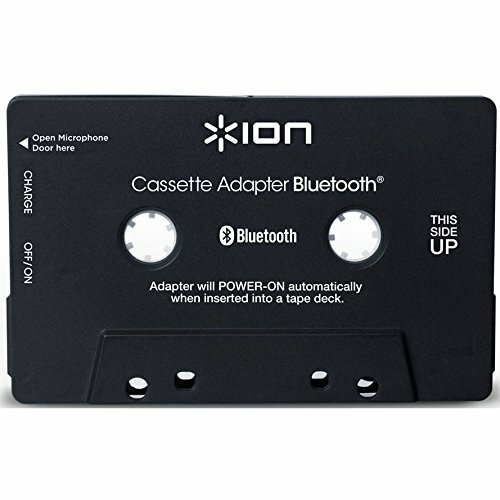 To re-establish connection, use the power switch on the side of the Cassette Adapter Bluetooth to cycle the power OFF then ON. The Cassette Adapter Bluetooth will also turn back on and enter pairing mode if it is removed and re-inserted into your tape deck. How long is the battery life? Are there any steps I can take to maximize battery life? The built-in rechargeable battery should last for up to 6 hours. To even further extend battery life, keep this in mind. The Cassette can be powered in 2 ways: (1) Power Switch turned ON or (2) Power Switch Off, and Cassette Adapter’s metal tape head pressed in by a cassette deck’s Play mechanism. Since the Cassette Adapter can be powered by pressing in the tape head, use the following steps to further extend battery life. Turn Cassette Adapter switch to Off at all times. Insert Cassette Adapter into cassette deck. Engage Play on cassette deck. Note: Some decks automatically engage Play upon insertion. The Cassette Adapter should now be powered on and ready for Bluetooth Connecting (because it tape head is pressed in). Connect your Bluetooth device and play music. When finished or not using, ensure the Cassette Adapter’s tape head is not engaged (pressed in) by either pressing Stop on your cassette deck, or by ejecting the Cassette Adapter entirely. To reconnect, repeat Steps 2-5. If the cassette deck powers on the Cassette Adapter, is the separate power switch not needed at all? The Cassette Adapter will turn itself on automatically when your cassette player’s tape head engages. 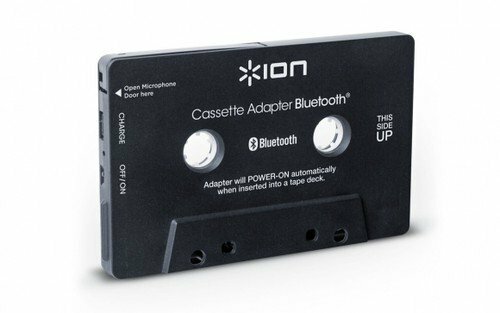 While this ’auto-on’ feature means many customers will never need to use the external ’Power Switch’ on the Cassette Adapter, some customers like the idea of being able to fully pair their Bluetooth device to the Cassette Adapter before inserting it into a cassette deck.